I bought the new 27cm iPad Pro with the redesigned Apple Pencil and Smart Keyboard. The whole package, including AppleCare+ to insure my new purchases, cost me over $1,300 (a tad over R18,000). I've been using Apple's new iPad Pro for about two hours now. In fact, I'm typing all these words on Apple's new Smart Keyboard, which magnetically hooks onto the new iPad Pro for support and power. Overall, I'm happy with my purchase, but I have some initial thoughts of the new iPad Pro, having upgraded from a 4-year-old iPad Air. Apple does an excellent job of getting you excited about your big purchase. The packaging of the iPad Pro, Apple Pencil, and Smart Keyboard is very elegant. You don't need to tear anything open like an animal; everything peels away and unhooks from itself like it's designed that way. It feels very high-end. I love Apple's packaging, and the iPad Pro is no exception. Apple's new Smart Keyboard takes some getting used to. Unless you plan on exclusively using the iPad's touchscreen for typing, I would highly recommend buying a keyboard accessory with this new iPad, or any iPad, really. I've owned and used Logitech's Ultrathin Keyboard for years now, on my 2013 iPad Air, but I wanted to give Apple's latest Smart Keyboard a try. The positives: The keyboard feels soft but sturdy, and it easily hooks onto the iPad Pro. The negatives: It's loud, and you almost have to "punch" the keys with your fingers for them to register. The Apple Pencil is a beautiful stylus, and I love how pairing and charging is as easy as attaching it to the top of the iPad Pro. That said, I don't know how often I'm going to be using the Apple Pencil. Unless I feel like drawing something, I don't know the next time I'm actually going to need the Pencil, and that makes me feel bad since it costs over $100 (almost R1,400). Most people will probably not need this gorgeous accessory. I need to learn new gestures to get the most out of this thing. 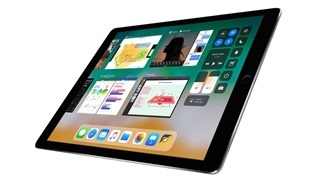 Multitasking gestures have existed since iOS 11, but I've never really had much of a reason to try them, since I never really considered using my iPad like a real work computer before. But with the iPad Pro, I feel compelled to get the most out of this computer, and that means learning new gestures and workflows. 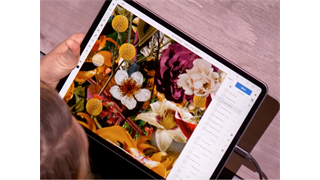 Apple shows you a few GIFs of what multitasking looks like during the iPad's setup process, but after that, you're on your own. I already miss having a trackpad – and a real computer. Not having a more precise input tool to do normal computer things like select text, for instance, is already getting on my nerves. Even for this story, where I'm bolding the first sentence of each paragraph, highlighting groups of text was so finicky that I ended up manually selecting the text by pressing shift and the arrow key until I highlighted the full sentence. Fingers are rarely as precise as a mouse or keyboard, and all of those hand gestures get awfully tiresome when you're trying to do work. Apple needs to make this thousand-dollar machine support mice and trackpads, like, yesterday. Multitasking is not as good as it is on a Mac. Aside from needing to learn all the new gestures, trying to drop pictures from my Photos app into this story was so bad (it was slow, and the photos flipped even though I saved the photos in the proper orientation), I eventually gave up and did everything on my laptop, which took a fraction of the time. Having to put a brand-new iPad Pro down to do real computer things is not good! Looking at the new iPad Pro and my 4-year-old iPad Air side by side, I'm surprised how well the iPad Air has held up. 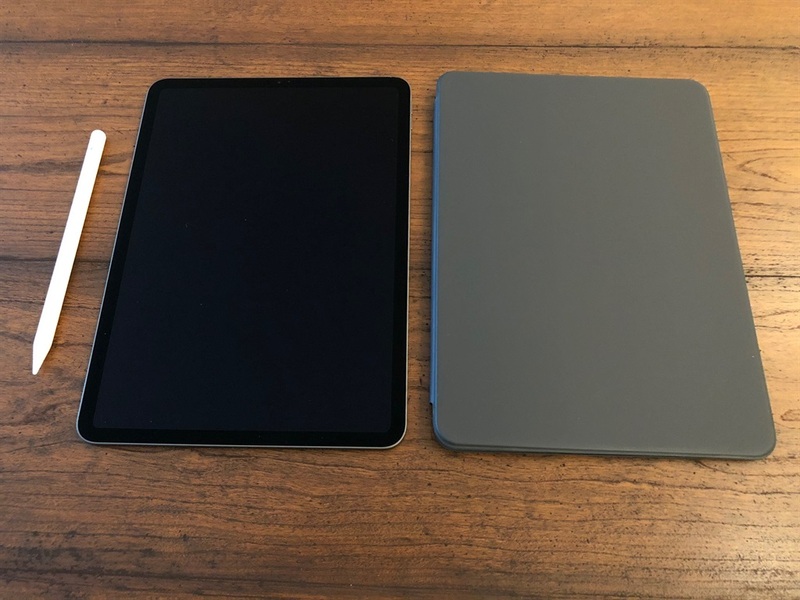 Both devices are roughly the same thickness, and the iPad Pro's display is only slightly larger than the iPad Air, even though the newer device doesn't have a home button holding it back. I love the iPad Pro, but looking at it next to a semi-old iPad Air, the differences don't feel quite so radical. It makes me wish Apple took some more risks to make the redesign stand out, like adding support for special accessories (again, mouse and trackpads, please), or making the display reach further into the corners of the screen. 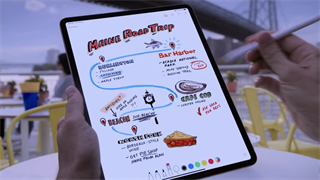 It's easily the best iPad yet, but it's not a revolution. It's an evolution.